William's Walk condominiums in Jacksonville, Florida. 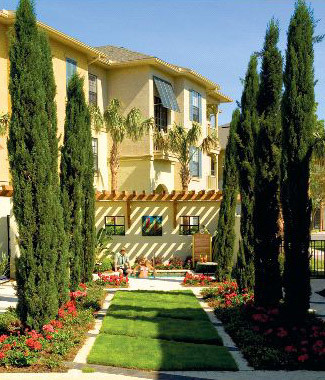 William's Walk is a gated condominium community with 380 units located in Bartram Park, a 1,250-acre village of new homes, employment centers, retail outlets, upscale restaurants and other neighborhood conveniences. William's Walk is designed to be a true live, work and play community. 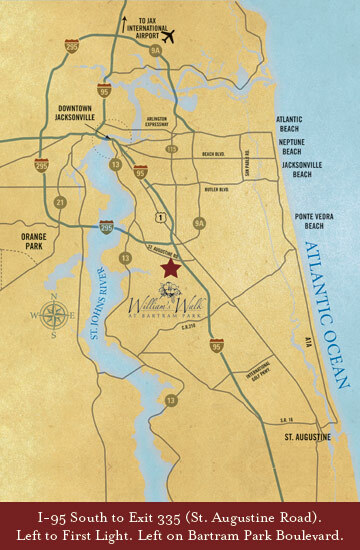 In addition to the numerous commercial and retail outlets within Bartram Park, Old St. Augustine Road, US-1, 9A, 1-95, and 1-295 are just minutes away, providing convenient access to North Florida's most popular shopping, entertainment, and employment districts. See master plan and area map. 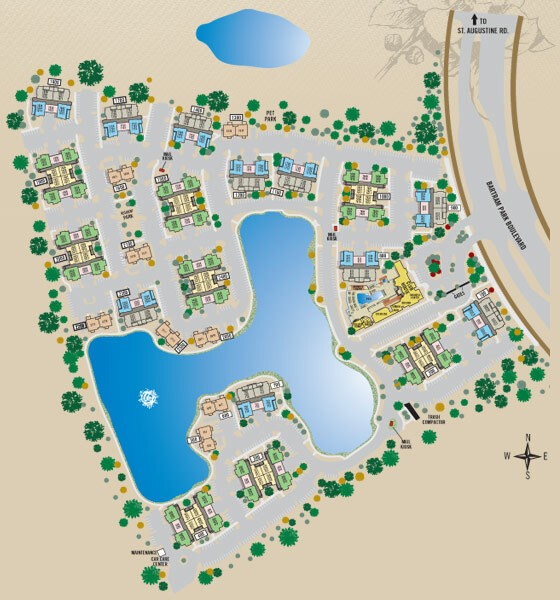 Developed by Crosswind Communities, William's Walk is an exciting "urban village" offering exceptional resort-style amenities, including a six-acre lake with walking trail, pool and hot spa. The beautiful clubhouse is home to a business center and catering kitchen, fitness center, screened-in billiards room, poolside hammock cabana, outdoor grill with outdoor dining area, business center, pet park, and car care center. Because William's Walk is meticulously designed to guard its natural beauty for the enjoyment of the families, it has won two prestigious Aurora Awards for design and construction excellence by the Florida Home Builders Association. The community offers six distinctive floorplans ranging in size from 845 to 1,499 square feet with garages available, including a two-story townhomes. All homes showcase Mediterranean architectural designs, private courtyards or balconies; ceramic tile floors in all kitchens, baths and foyers; 42� European-style flat maple cabinets; and black-on-black energy-efficient appliance packages. Elegant master retreats feature spacious walk-in closets and deep soaking tubs. The community offers carefree condominium living for those seeking sanctuary from the outside world, while also desiring a superb location and exceptional resort-style amenities. Bask in the sun's warm rays as you relax on the expansive decks of pool. Enjoy cool breezes beneath the shaded trellises of poolside hammock cabana. Interact with nature along our scenic lakeside trail, just like William Bartram did, over two centuries ago. The maintenance-free lifestyle afforded by these upscale condominium homes frees up plenty of time for you to enjoy these, and the community's many other modern amenities. Employment opportunities abound with the new state-of-the-art Baptist Hospital South, fast-growing Flagler Center and numerous other offices just outside your door. And when its time to play, you're just a short drive from the city, charming historic St. Augustine and Ponte Vedra's beautiful white sand beaches. Bartram Park is also home to a full compliment of such desirable neighbors as Publix, The UPS Store, a planned Kohls store and a variety of restaurants, specialty retailers and services. High-performing schools are also close by.